This category contains eBooks and downloads about travel. It Is The Ultimate Eguide To Make Your Move To Germany Headache Free! Tips About Everyday Life In Germany, The Documents You Need, The Closing Hours Of Shops, etc. We Only Wish Such An Eguide Was Available Before We Moved To Germany! Review of How To Painlessly Relocate To Germany! Save Hundreds To Thousands Of Dollars On A Disney World Vacation. Plus, Beat Those Long Lines At The Disney Theme Parks With Help From The Insiders. The Insider's Guide To Disney World eBooks Are The Ultimate Vacation Planning Guide. My Immigration Consultant, It Is Designed To Guide You *Step By Step* Towards Successfully Immigrating To Canada. Digital Travel Guide To Florence, Italy. 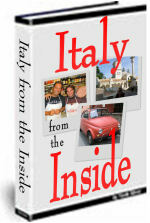 Includes E-guide With Info On Sightseeing, Where To Stay And Where To Eat A Travel Photo Book Of Florence And Tuscany. Uncovering The 33 Secrets For Working And Travelling In Australia For Up To 12 Months. How To Get A Visa, Bank Account, Tax File Number And Where And How To Get A Job Immediately. 6. Disney World Vacation And Savings Travel Guide. Travel Agency Owner Reveals Secrets How To Accumulate And Use Airline Awards To Fly For Free. 9. A Second Home In New Zealand.